When you yourself feel it, you transmit it, effortlessly. The knack is to feel it, genuinely & authentically, in your core. ‘It’, of course, is good-natured warmth. ‘It’ is also joyfulness. It is also acceptance, the acceptance of our inner dark and light, of our sorrows as well as our joys. It is the ability to cry as well as laugh. ‘It’ takes practice. The practice is endless, but it gets better. Life becomes more joyful. Is this a good reason to practice? Laughter yoga is wonderful for this. There is a great practice, of laughing at oneself. The practice of being able to laugh through, at & with our ‘story’ is very profound. It is liberating because it puts us increasingly at ease with life and all it brings – the downs as well as the ups. You practice laughing no matter what you’re feeling. It is the equivalent of keeping breathing, no matter what you’re feeling. Just keep breathing. After all, isn’t a laugh just a type of out-breath? When we have learnt to laugh like this, people sense it. It allows them to laugh more easily, effortlessly even. This inner freedom, the freedom referred to by Marianne Williamson in her memorable ‘Our deepest fear‘ quote, gives others permission to feel more expansively too. 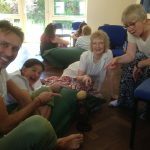 When this is done in a space that allows and encourages good-natured connection, whether in a laughter yoga/wellness session or in fact any other session, effortless natural spontaneous laughter often occurs. In fact, it almost invariably occurs. If you run any kind of ‘laughter’ sessions, this is a very good skill to learn. As a personal practice, it is extremely liberating. It is another one of these ‘simple but not easy’ practices, and like all such practices, it is potentially life-changing in a good way. The underlying reason for this effortless laughter involves being present and experiencing the joy that simply being alive can offer. When we are able to relax into the ‘now’, it is usually a joyful experience, and in this state, good-natured laughter easily and naturally bubbles up. This applies as much as a personal practice as a group skill. Are these good reasons to learn it? This entry was posted in Action for Happiness, Connection, happiness, Laughing Yogi, laughter yoga, nls: natural laughter skills, psychology and tagged connection, emotional intelligence, laughter, laughter meditation, laughter yoga, mindfulness, nls: natural laughter skills, positive psychology, smiling, stress management, wellbeing on June 8, 2016 by Joe Hoare. 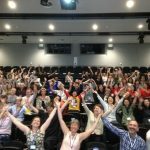 Laughter wellness: what is it and why does it work? ‘Now we are 8’, 8 years into the Great Recession, one ever-pressing question is: what works? The harder the times, the more pressing this question. Wellness: overturns stress, anxiety & depression, and promotes connection and resilience. In the ‘Wellness’ picture, the role of ‘laughter wellness’ has its place because it is upbeat & energising, simple & effective, and fast. It combines wellness activities with enjoyment. The result is calmness, connection and resilience which manifests in happier productivity. 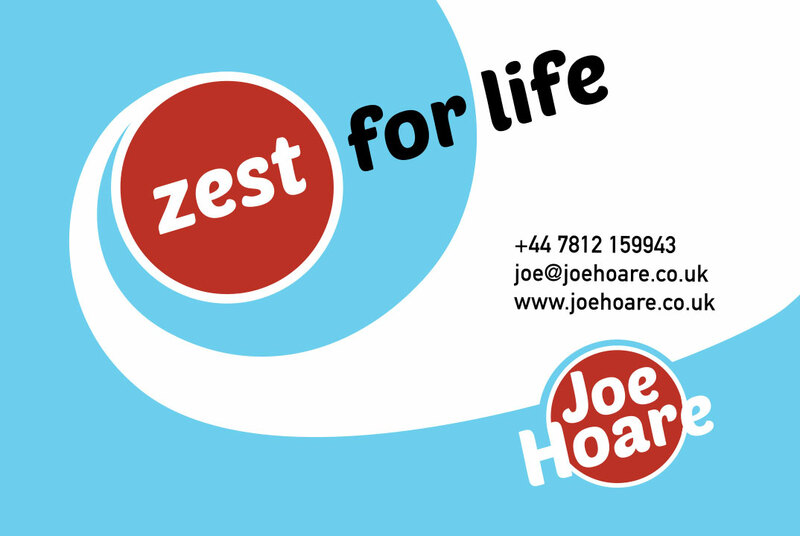 BNP (Banque National de Paris), among others, used ‘zest for life’ recently. We moved around the space, walked at different tempos, internalised & isolated ourselves, communicated & connected with each other, and kept expanding our awareness – all in a framework of good-natured exploration. Apprehensive, heady, pressured individuals turned up and surprised, relaxed, energised & connected individuals left. The surprise was because of how little we did and how well it worked. We moved, we breathed, we kept expanding our connection. We all felt well, no matter how we were feeling at the start of the session. The moral? Laughter yoga in the form of ‘Laughter wellness’ has the magic combination of simplicity, enjoyment and effectiveness. Time to take laughter wellness seriously? This entry was posted in Action for Happiness, Connection, happiness, Laughing Yogi, laughter yoga, mindfulness, psychology, stress management and tagged anxiety, connection, depression, emotional intelligence, happiness, laughter wellness, laughter yoga, mindfulness, positive psychology, resilience, stress management, wellbeing on April 4, 2016 by Joe Hoare. You’ve got the enthusiasm. You’ve done the training. What next? Sometimes what follows is a scenario where you run one or three sessions and then you don’t quite know how to develop these further. Sometimes people come to a session, love it, and in spite of raving about it, they never return. Sometimes they might not quite ‘get’ what it’s about. Sometimes they might think it’s ‘just’ a bit of fun but not really important, not comparable with ‘serious’ practices like….well, yoga? In my 14 years in the laughter yoga world, this is a scenario I’ve encountered many times. I also wrestled with it myself in the Bristol laughter workshops (www.bristollaughterclub.com) where on one occasion in the 13 years it’s been running, only 1 person turned up. After the initial scariness (on my part, I should add), we proceeded to have a very valuable hour and a half. It was excellent coaching practice. Nowadays these sessions average over 20 participants, with lots of them coming back. 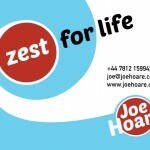 The sessions always attract further interest and professional inquiries, from charity to blue chip. 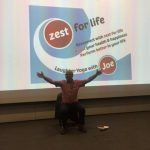 This is partly because there is a greater general awareness of and appreciation for all wellness and yoga practices, but also because I’ve developed my own style and built my own niche to maximise the value people get. I’ve also been in lots of other people’s sessions and have experienced successful styles that are completely different to my own. I’ve observed and felt that style itself simply doesn’t matter. What matters is that it’s YOUR style. As you develop your own style, you will find your niche. In my experience, more often than not, this niche combines with other modalities & practices which is why you need to have the courage to be flexible, spontaneous and adaptable. 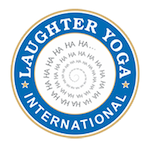 The laughter yoga world is expanding fast now because the whole wellness world is expanding fast. World-wide there is greater interest in being healthy & happy, and personal development practices are something that more and more people are prepared to devote time, energy and resources to. It has become clear to me that we all have a niche. It is sometimes/often/usually not what we expect, but we all have one. Finding your niche and building your presence & impact, and hence rewards, is the subject of this webinar. Time, science and general interest are all on our side. There are excellent resources on Facebook, twitter and Linkedin. I post articles regularly in the ‘about’ section on my own website. We are moving with the tide of history. At the very least, do keep practicing? This entry was posted in Action for Happiness, happiness, Laughing Yogi, laughter yoga, nls: natural laughter skills and tagged emotional intelligence, laughter, laughter meditation, laughter the best medicine, laughter therapy, laughter yoga, mindfulness, nls: natural laughter skills, positive psychology, psycho-neuro-immunology, resilience, smiling, wellbeing on February 24, 2016 by Joe Hoare. 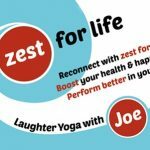 Laughter Yoga: time to start laughing with, not at? There was a time not long ago when a client of mine was appalled at the possibility of yoga being taught as a stress management technique. Nowadays everyone knows about it, lots of us have tried it, and some of us use it regularly. The benefits from its breathing and stretching are so well established that it has moved from being sneered at to being welcomed. Is this now the case with laughter yoga / yogic laughter? As we move into an era where personal, professional and environmental wellbeing are recognized as both essential & intertwined, the answer looks increasingly ‘yes’. As with mindfulness, the benefits of yogic laughter include enhanced wellbeing (‘happiness’), reduction in stress, anxiety and depression, and improved resilience. These benefits are also attainable through positive psychology and the likes of CBT (cognitive behavioural therapy) and as research is starting to show, through yogic laughter practices as well. Even the Pentagon has had happiness seminars. These benefits impact our professional life as well as our personal life. Evidence is accumulating fast to show how we think more clearly, more creatively and for longer when we are in a positive mood. Yogic laughter practices create this positive mood instantaneously. The environmental aspect is becoming appreciated because in this arena too, health-inducing inner practices contribute to practical effectiveness. Leading figures and pioneers like Satish Kumar of Resurgence and Sir Julian Rose of the Soil Association use these practices. What does yogic laughter offer? Movement and posture: we change our mind by changing our posture and how we move. As with mindfulness, yogic laughter practices can require only a little time, they are simple if not easy, and are learnable. If happiness and good mood are recognized as valuable across a spectrum as wide as Oprah, Google and the Pentagon, I’d say we’re getting there. Time to laugh with, not at? This entry was posted in Action for Happiness, depression, happiness, Laughing Yogi, laughter yoga, mindfulness, stress management and tagged anxiety, creativity, depression, endorphins, happiness, laughter yoga, mindfulness, nls: natural laughter skills, positive psychology, resilience, stress management, wellbeing on January 20, 2016 by Joe Hoare. You are awesome – yes, you. I was thinking awesome this morning. I suddenly realised that two of the most awesome people I’ve known in my life were both almost completely uneducated, yet they both had a spark that people still remember. That spark was their ability to figure things out, be nobody’s fool and therefore highly perceptive. In today’s parlance, they were creative, intuitive and authentic. They understood themselves, and therefore life, well enough to see to the heart of situations. Neither of them had high flying careers yet they excelled, and impressed everyone who met them because they were so ‘real’. If they could, why not us too? Can we be more ‘real’? We’re already unique, creative individuals, so can we learn to expand our uniqueness? Why might we want to? One simple way to expand our uniqueness is to become more aware of the flow of life. Life is swirling and changing in & around us all the time, yet how aware of this are we? If we’re ‘in our heads’ the answer is always: not very. 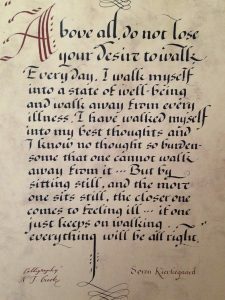 As soon as we engage with our embodied consciousness, awareness floods in, stress and tension ease, mood improves, life becomes more enjoyable, we communicate better, and relationships and effectiveness improve. How do we do this? A simple mantra is ‘feet, breathe, smile’. When we put attention on our feet, especially the soles of our feet, we get out of our heads. When we become aware of and focus on our breathing, we relax and calm down. When we smile, we imbue our awareness with good-naturedness. One of the cumulative effects is to deepen our connection with our knowing self, our intuition – including perceptiveness and ability to ‘figure things out’. I observe people entering this state of embodied awareness, and every time they become more radiant and beautiful. They become relaxed, empowered and confident. Without fail, they know what to do next, what their next step is and how to take it. They become aware they have the resources to do what needs doing. They activate their zest for life. They become awesome in front of my eyes. Get out of your head and go for full awareness. Use the mantra and practice: ‘Feet, breathe, smile’. Give it a go. Get more awesome. This entry was posted in Action for Happiness, Connection, happiness, Laughing Yogi, laughter yoga, mindfulness, psychology, stress management and tagged anxiety, connection, depression, effectiveness, laughter yoga, Loving Kindness, mindfulness, nls: natural laughter skills, positive psychology, resilience, smiling, stress management, wellbeing on December 7, 2015 by Joe Hoare.